At HealthyWage, we are all about inspiring stories of weight loss success, tips and ideas for weight loss motivation, and actionable plans, whether through recipes, workout plans, and/or emotional strategies. That's why we've rounded up this list of the Top 50 Weight Loss Blogs we'll be following in 2019. 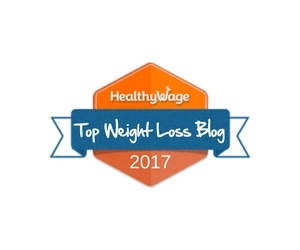 The blogs on this list were selected because both the HealthyWage team and our community of weight loss challenge participants turn to them over and over again for inspiration and motivation. We encourage you to check out everyone on this list; we know you'll find some new favorites. One of our Top Bloggers, Goal of Losing, participated in a Jackpot Challenge and documented her HealthyWage review and weight loss journey on her blog. You can read all of her posts here.